The annual Norfield Grange Fair and Market, is being held Sunday, Sept. 9, from 10 a.m. to 3 p.m. at 12 Good Hill Road in Weston. The fair features games for kids, face painting, a snack bar, eating contests for corn-on-the-cob and watermelon, a raffle, vendors, music, and agricultural and handmade contests. This year’s contests (open to all ages) in nearly 45 categories including art, photography, crafts, baked goods, canned goods/preserves, veggies and fruit, flowers and plants, eggs, sewing and needlework and homemade spirits. Winners will be posted on social media and in the local newspaper. 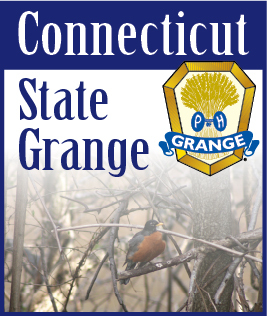 For more information on how to enter the contests, go to Norfield Grange on Facebook, or call 203-226-8233, or email NorfieldGrange@gmail.com. All fair proceeds go to the Norfield Grange Scholarship & Camp Berger Campership Funds.